Description: This demonstration shows that the angle of incidence is equal to the angle of reflection. Aim the laser at the center of the mirror. 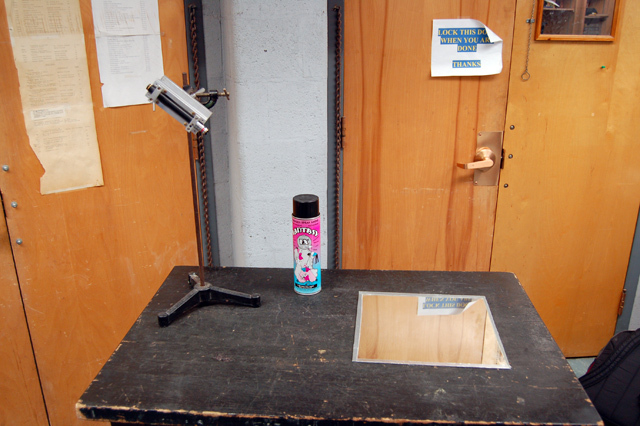 Spray the compressed air at the mirror (or chalk dust). Note that the angle of incidence is the same as the angle of reflection. You may adjust the laser height to show different angles.